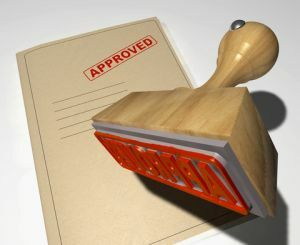 The SOC, OBC and FBC are three separate documents, each one requiring separate approval and support before moving on to the next stage in the overall project life cycle. And each phase requires the five cases to be addressed, with varying levels of detail. This may appear to be burdensome, time-consuming and potentially costly. However, if applied correctly, it has a real benefit; it can reduce unnecessary costs and management time by eliminating at the early SOC stage any scheme that is a low priority, does not deliver the key organisational goals and strategies and therefore has no corporate support. By addressing the specific questions in each of the five cases, these schemes would self-destruct during very early stages of consideration by the business case development team. For some projects, particularly when they form part of a clear programme of work, there is a strong argument to shorten the life cycle – the programme will have already established the case for the investment and does not need to be restated in a separate SOC. In these circumstances, it is feasible and sensible to combine the SOC and OBC stages into a single process and document. This does not mean the requirements of the Five Case Model are lessened. The need to satisfy the five cases remains valid, particularly as one of the roles for a business case is to provide a record of how a decision was arrived at, for future reference. For smaller or more straightforward investments, a single document covering all three stages may be appropriate. In some organisations these are referred to as a Business Justification Case. Once again, it must satisfy the questions in each of the five cases.